A storm can severely damage trees; fallen or significantly harmed trees may threaten your property and safety. Damaged trees require professional assessment and may need to be removed by experienced arborists to ensure the safety of your home or commercial enterprise in Temecula CA. JP Tree Service provides 24-hour emergency tree removal services in the Inland Empire, California, and the surrounding area. We assess and inspect tree damage caused by storms or any other unexpected event. 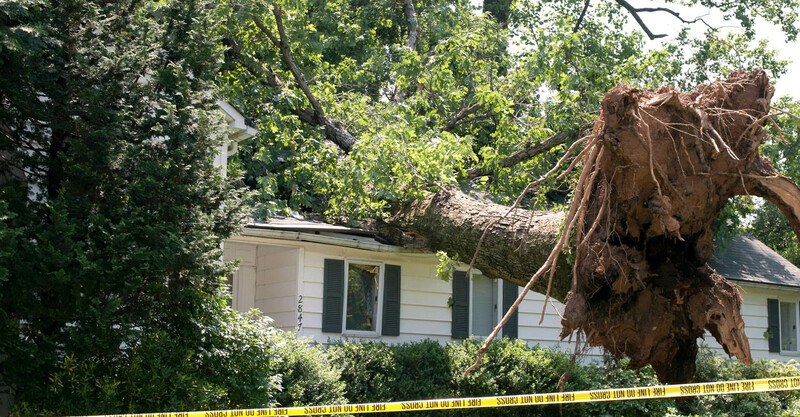 Our tree experts provide a swift assessment of your property in an emergency. Hire an efficient, prompt, and professional tree removal company anytime you need it. Nature can be unpredictable, but you can rely on JP Tree Service to help. Our trained and skilled crews have many years of experience assessing and promptly removing damaged trees that pose a threat to you and your property. We use state-of-the-art equipment and specialized machinery for damage assessment and emergency tree removal. Call JP Tree Service at any time to get emergency help with a fallen or damaged tree. At any time of day or night, we will dispatch a team to handle anything from a branch caught in a power line to the professional removal of a fallen 100-foot tree. Even under difficult conditions, such as heavy rains or winds, our tree service technicians work quickly to prevent further damage to your property. We also provide documented proof and photos for insurance purposes as part of our emergency tree removal services. JP Tree Service is here for you before a storm hits too. We have heavy tarps in stock that you can purchase to protect roofs of any size if you have concerns. Ask us about other emergency guidelines that can help you successfully weather the next storm.